The Nu-Rons "All my life " bw " Disco Hustle "
SJ1010-The Nu'Rons-Promo.mp3 During the late 70’s and onwards leading Wigan Casino DJ Richard Searling had begun to move away from the more traditional four beats to the bar sound 60’s and was programming more soulful seventies, new and recent releases into his DJ set’s. 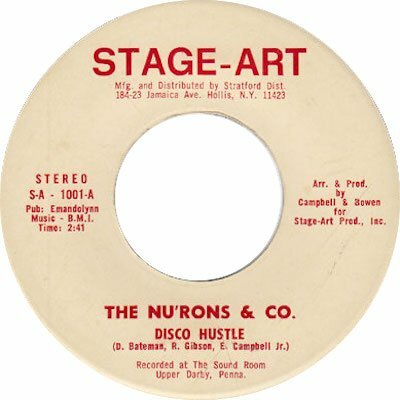 One of the many records he championed was the b-side to a very obscure local Philly 45 release by the then unknown all male group, The Nu-Rons. Richard had obtained this elusive 45 from record dealer John Anderson on one of his many buying trips to John’s famous Soul Bowl emporium in Kings Lynn. At the time Richard Searling was not only famous for the constant stream of new 45 discoveries he was continually playing but also for the ingenious cover-up names he bestowed upon them. 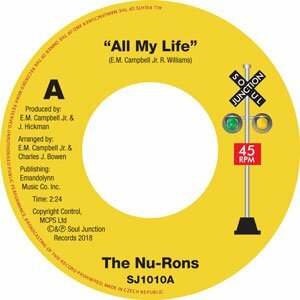 In this particular case The Nu-Rons began their life within the UK northern soul scene under the cover-up name of ‘Lamar Thomas & The Chains That Bind’ under the title of “All Of My Life (Spent Waiting For You)”. Such was the volume of new finds in that period that even the most popular records were subsequently dropped in favour of the next discovery. 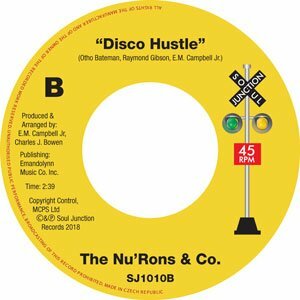 Following The Nu-Rons 45’s fall from grace on the wheels of steel, avid soul collectors would continue their search for this elusive 45. That was until following the birth of the genre later described as the ‘Crossover’ sound. 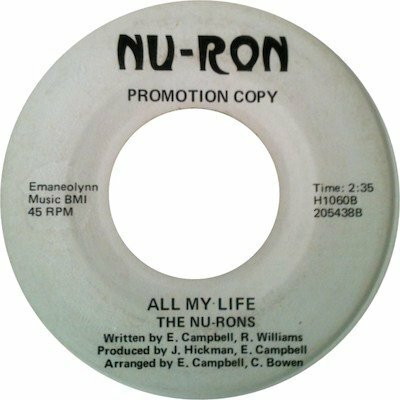 The Nu-Rons soulful harmonies fitted the bill perfectly and with more copies now being in the hands of more DJ’s and collectors alike The Nu-Rons “All My Life” would in all probability reach the full height of it’s popularity and demand. 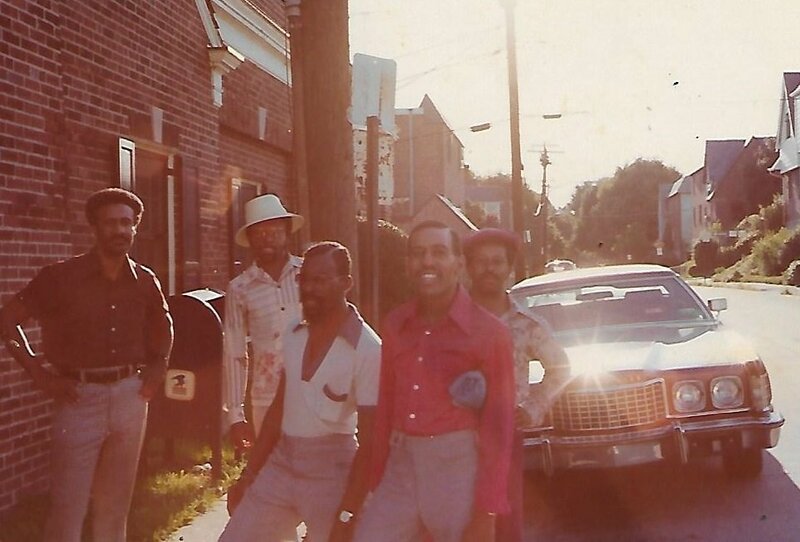 Left to Right: Manny Campbell (Producer), Otho Bateman (Wearing Hat) Charles Bateman, Daryl Howard & Raymond Gibson.The Nu-Rons, were a family group consisting of two sets of brothers and cousins, the four young men in question being brothers Daryl Howard and Raymond Gibson (Daryl’s mother registered him under his father’s surname of Howard and Raymond under her maiden name of Gibson) together with Otho Bateman and Charles Bateman. They were all born and raised in Salem, New Jersey and from the age of ten and eleven began singing with a fifth member and Gibson brother Rudolph as a group called The Gospel 5. They eventually decided to crossover to secular music and as a group known for their energetic dance routines they came up with the new performing name of ‘The Nu-Rons’ (taken from the word ‘Neuron’ which is a cell that transmits nerve impulses). However Rudolph was soon to leave the group due to physical illness. Also Daryl Howard and Charles Bateman had also been part of a working group known as The Devotions prior to becoming The Nu-Ron’s.